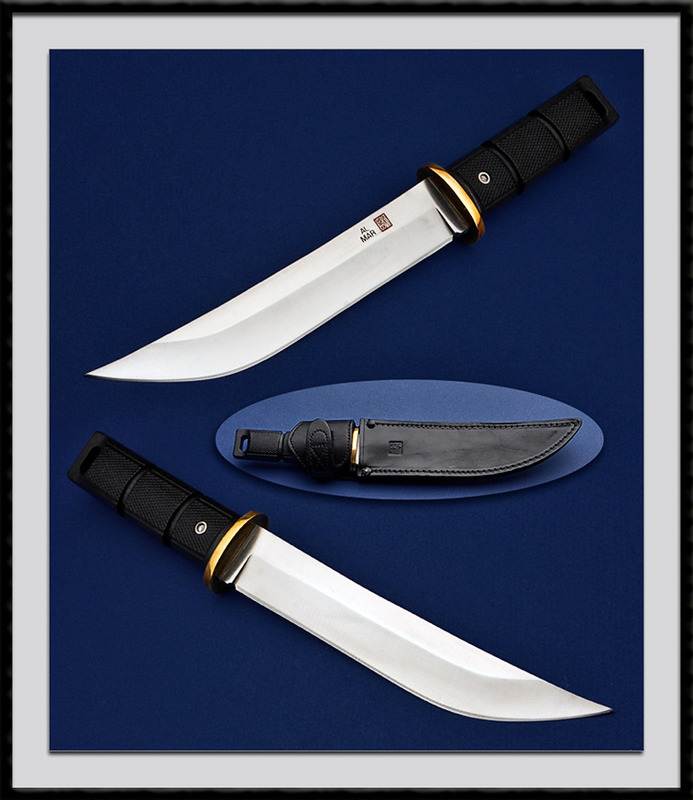 Al Mar fighter with a 7" blade, OAL = 11 3/8", Brass guard, Black composite handle accented. Comes with the Leather sheath pictured. Condition is Mint.